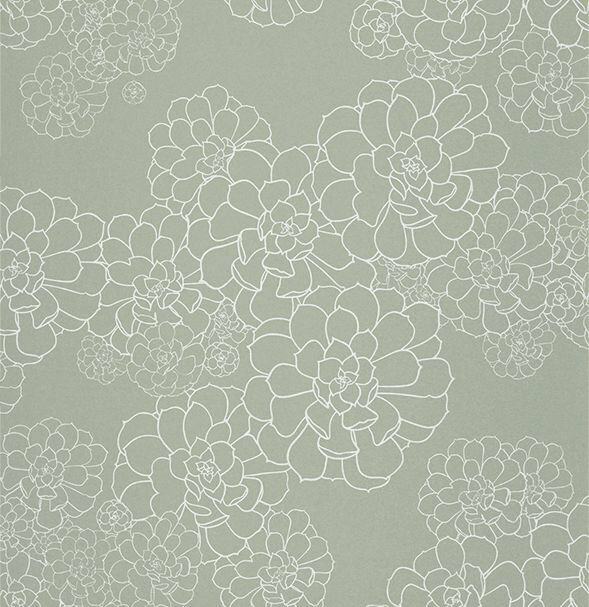 A beautiful wallcovering featuring bold line drawings of aeonium flowers in an all-over pattern. Shown here with the flower outlines drawn in white on a steel grey background. Other colourways are available. Please request sample for true colour match.